Baltimore has long been known for its picturesque Inner Harbor that spawned duplicates around the globe and for its steamed crabs dusted with Old Bay spice. 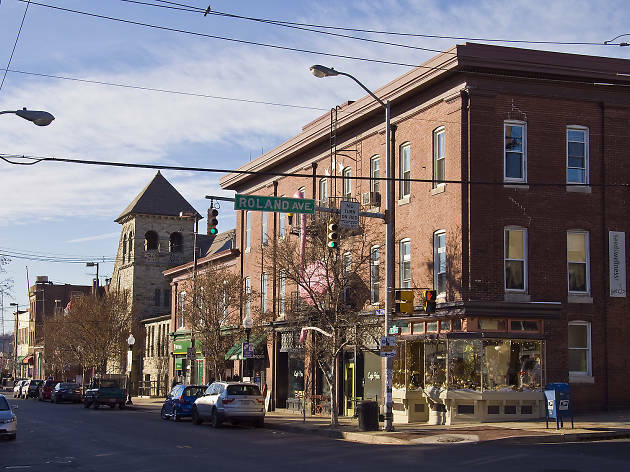 But in recent years, word has gotten out that the town, nicknamed Charm City, has much more to offer. New boutique hotels, trendy restaurants and unique festivals earned it a spot on the New York Times top places to visit in 2018, while Travel & Leisure cemented its reputation as the coolest city on the East Coast. While centuries-old buildings have been converted into hip new hangouts, the city remains unpretentious, offering an urban experience perhaps more authentic than some of its neighbors to the north and south. 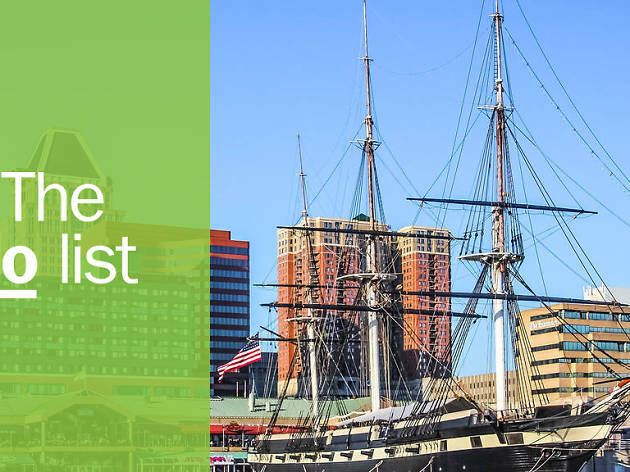 While it can take years to truly know this town, start with this list of 15 things to do in Baltimore. What is it? The 10-acre park is a short walk from the Inner Harbor and offers a panoramic view of the waterfront. Why go? 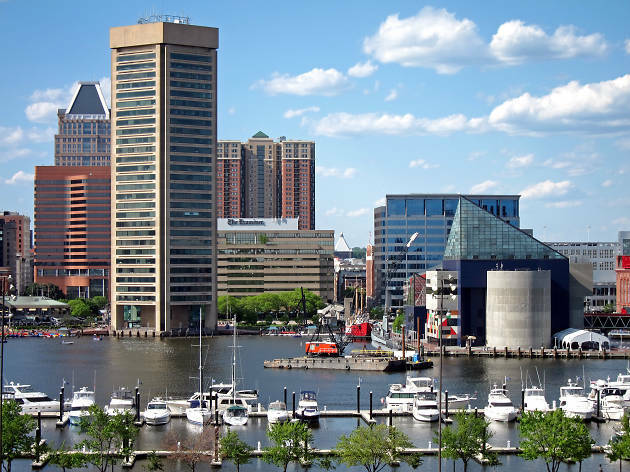 We know the Inner Harbor is the first stop for many Baltimore travelers. But before you visit the National Aquarium, Maryland Science Center, Power Plant and Historic Ships, get a birds-eye perspective of the attractions clustered around the waterfront at this elevated park that was once defended the city during the War of 1812. Wear comfortable shoes to climb the 99 steps to the top. What is it? The annual outdoor summer arts extravaganza, held the third weekend in July, features dance, theater and concerts held on three stages. Why go? 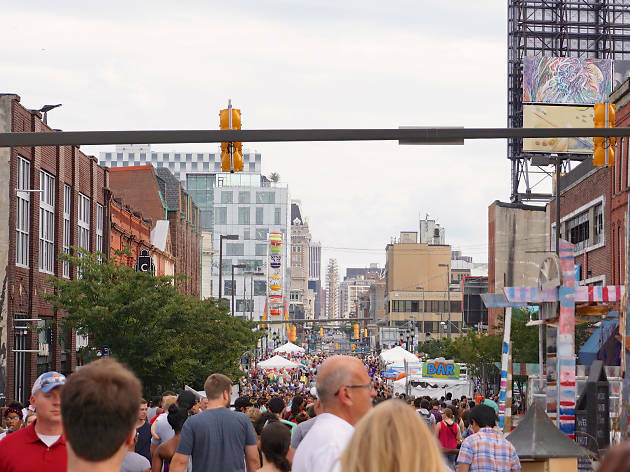 Billed as the largest free arts festival, the jam-packed weekend has featured well known musical headliners, including Wyclef Jean, Sheila E and Common. Purchase jewelry, crafts and one-of-a kind objet d’arts for your abode from more than 150 artists and food and drink from local vendors. 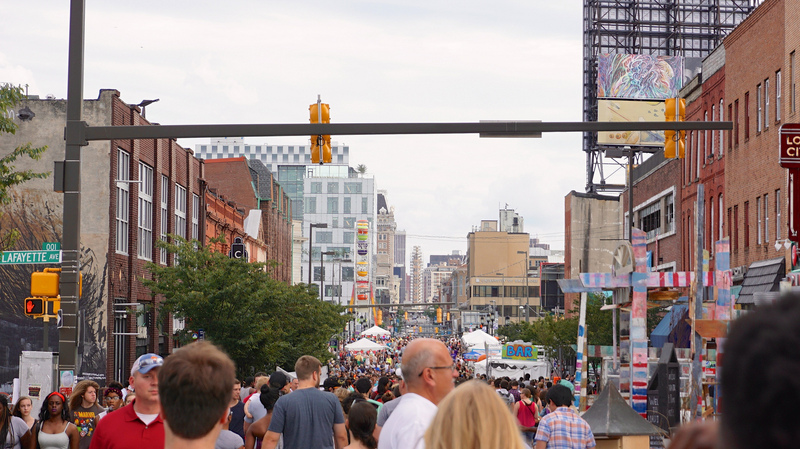 It attracts more than 350,000 attendees. Did we mention it’s free? What is it? Located in the Mount Vernon neighborhood, the 22-year-old bar and restaurant brews its Belgian-style beers in house. Why go? 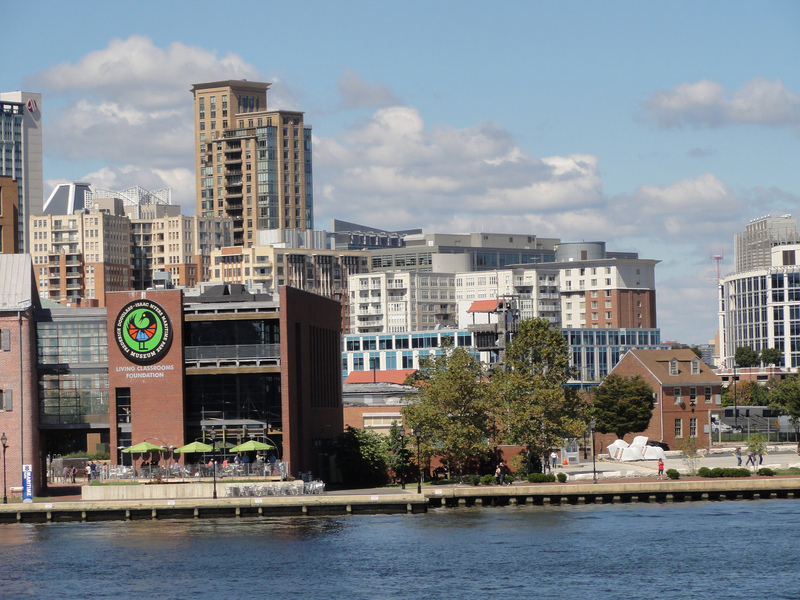 Baltimore is home to many great breweries and brewpubs, but this should be your first stop. Go for the Belgian-style beer and to witness a prime example of how developers have converted elegant rowhomes into one-of-a-kind eating and drinking establishments. 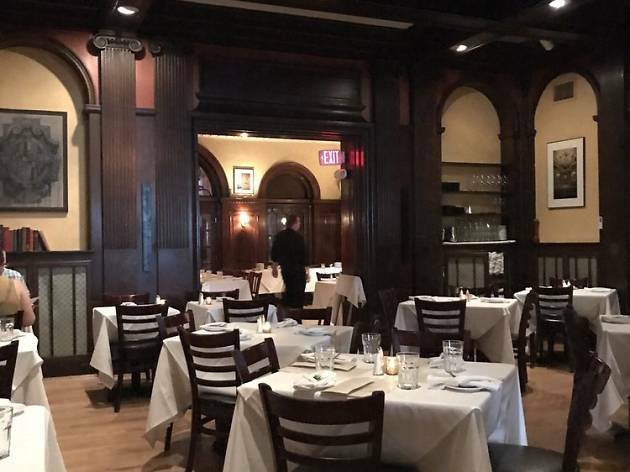 The Brewer’s Art offers several destinations under one roof—a turn of the century mansion, a low-lit cavernous basement and wood-paneled formal dining room. What is it? 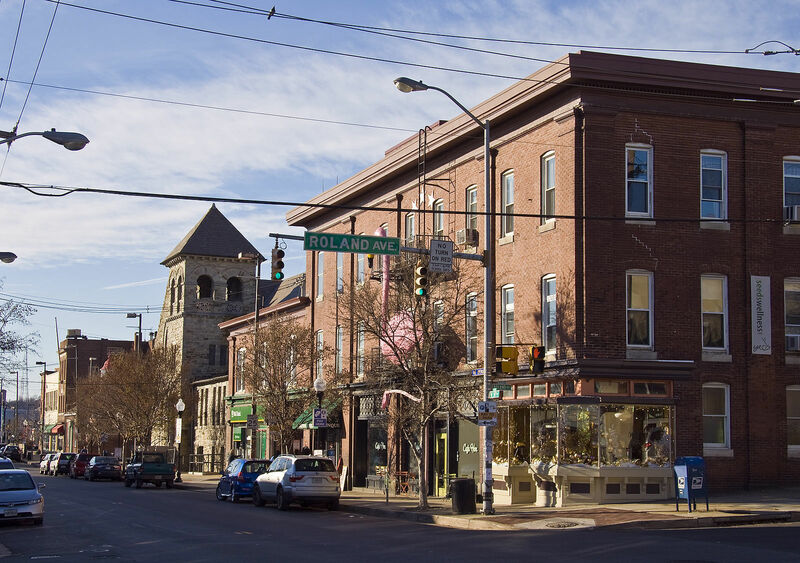 The main thoroughfare in hipster Hampden offers an eclectic assortment of independent stores, cafes and restaurants. You won’t find any chains here. Why go? The quirky neighborhood that had a starring role in John Waters’ films remains a favorite hangout spot. It’s also famous for its annual festivals: Honest, which celebrates women who sport beehive hairdos, and Miracle on 34th St., an extravagant, kitschy holiday light display held on one city block every December. The street is also home to some of the city’s best restaurants and bars, including Dylan’s Oyster Cellar, the Food Market, Avenue Kitchen & Bar and the Bluebird Cocktail Room. Afterwards, stop by the Charmery for Old Bay Caramel ice cream. What is it? 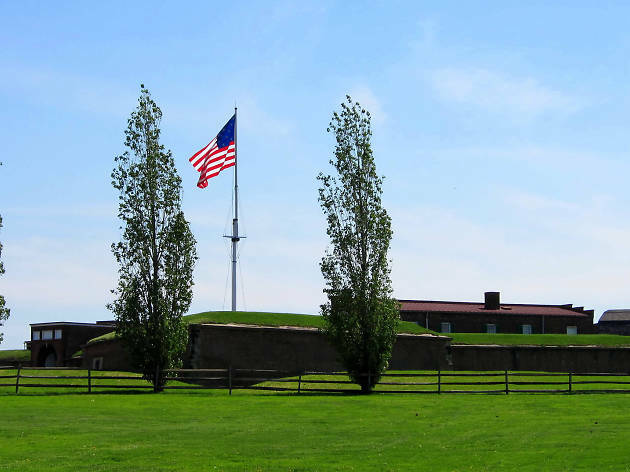 Built in the shape of a five-pointed star, Fort McHenry defended the city during the Battle of Baltimore in 1814, which inspired Francis Scott Key to pen the Star-Spangled Banner. Why go? 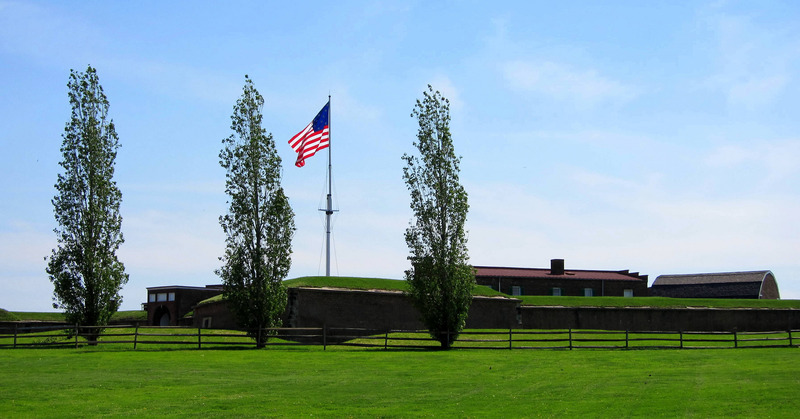 The informative and entertaining exhibits and ranger programs offer a great history lesson about the city’s role in the War of 1812. The 42-acre park, which juts into the harbor, also presents great opportunities to enjoy the outdoors. Walk along the sea wall trail or lounge on a picnic bench next to the water. What is it? The central plaza in Baltimore’s cultural center is home to the Washington Monument and surrounding parks that hold outdoor events during warm weather months. Why go? Climb the 227 marble steps to be rewarded with a stunning view of the neighborhood’s elegant 19th and 20th rowhomes built in Beaux Arts, Greek Revival and Italianate styles. 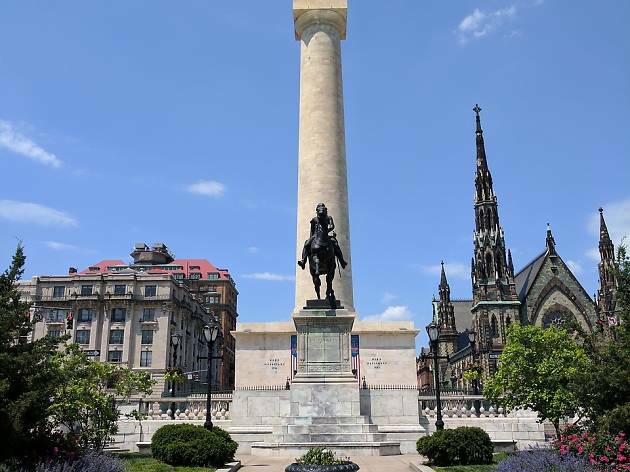 The square makes a good launching point for exploring the Mount Vernon neighborhood and contains many architectural marvels: a Norman-Gothic church, the Palazzo-style Walters Art Museum and the George Peabody Library. What is it? The 236-year-old food market houses more than 100 vendors selling everything from seafood to corned beef and fried chicken. Why go? 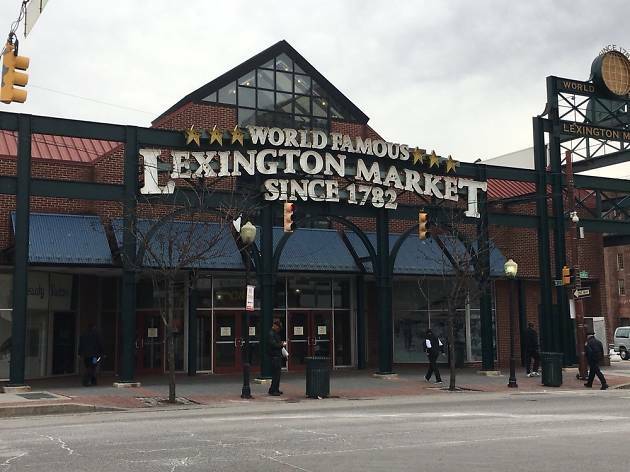 One of six public markets, Lexington Market is where you’ll find some of the city’s most loved food producers. Feast on Maryland-style crab cakes at Faidley’s Seafood, peanut brittle at the 122-year-old Konstant’s Candy, or a box of fried chicken and waffles from Connnie’s Chicken and Waffles. Save room for the cake-like cookies topped with a thick slab of fudge at Berger’s Bakery. Be sure to check out the other public markets and newer food halls, R. House and Mount Vernon Marketplace. What is it? This year-old distillery offers tours and interactive exhibits that highlights Maryland’s history of rye whiskey production. Why go? 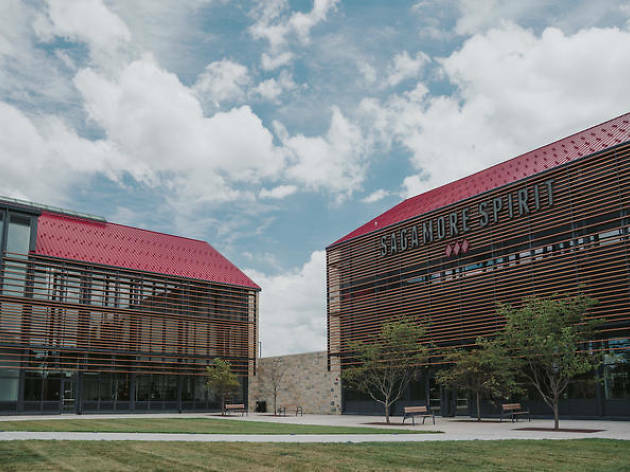 The massive waterfront complex shows how whiskey is made, showcasing the fermenters, bottling process and 40-foot tall mirrored copper whiskey still. With a restaurant from New York restaurateur Andrew Carmellini on site and outdoor concerts and other events, the distillery has become a must-stop destination. After an hour-long tour of the distillery, enjoy whiskey cocktails during a 30-minute sunset tour with Baltimore Water Taxi. What is it? The year-old beach bar provides the perfect spot to lounge around by the water with friends. Why go? 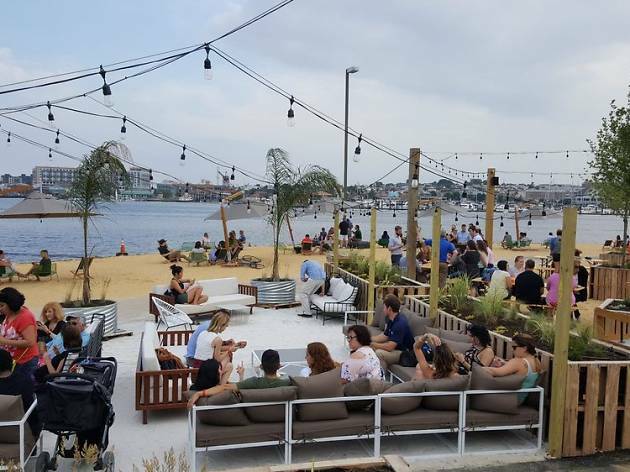 There’s a beach in Baltimore? Why yes. Do not jump in the water. Do grab a boozy slushie, local beer or cocktail from the airstream trailer along with locally sourced munchies from James Beard Award-winning Spike Gjerde’s restaurant group. It’s also a great spot to snag a pic of Baltimore’s iconic neon Domino Sugars sign. Get there before it closes for the season. What is it? 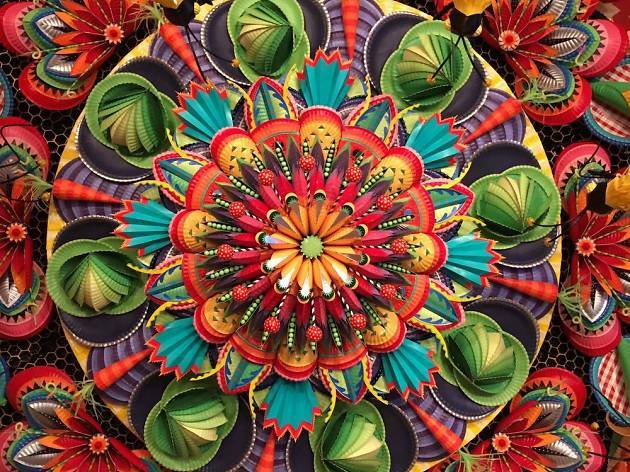 The whimsical museum features mosaics, murals, sculptures and paintings from self-taught artists. What is it? The crab shack in a Locust Point row house is the spot to pound a mallet into an Old Bay-slathered crustacean. Why go? 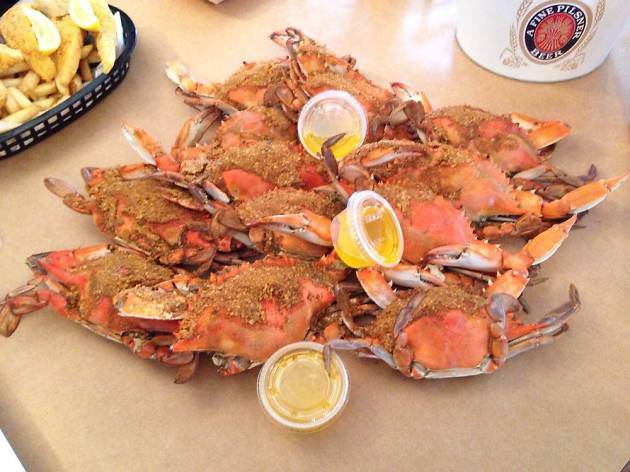 Let's be honest: if you go to Baltimore and don’t eat crabs, did even really visit? Enjoy crab, steamed shrimp and other seafood delights on the deck, where you’ll enjoy a view of the harbor. For a perfect pairing, wash it down with a pitcher of Baltimore’s favorite beer, Natty Boh. What is it? John Water’s favorite watering hole features a jukebox, cheap drinks and a neon cocktail sign. Why go? Swanky speakeasies have sprouted across Charm City, but the dimly lit spot in Station North will always have a timeless draw. 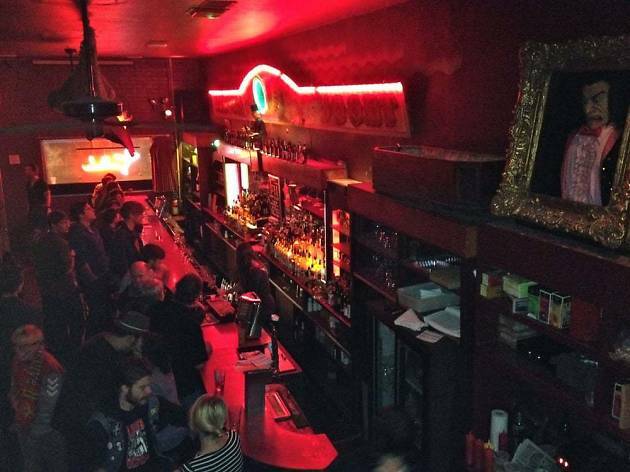 Club Charles is part dive bar, part hipster hangout and part Lynchian fantasy. With it's deep red walls and macabre touches like a suit-wearing skeleton that guards the beer list, we're pretty sure that Kyle Maclachlan could pop up at any moment. What is it? The park and museum honors the legendary abolitionist Frederick Douglass and other African Americans who contributed to Baltimore’s shipbuilding industry. Why go? The interactive exhibits recount the life of Douglass, whose 200th birthday will be celebrated all year, and Isaac Myers, who founded America’s first African American-owned shipyard. 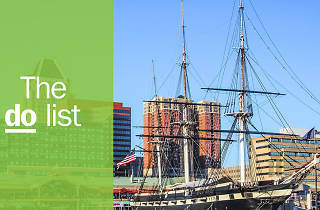 The lovely waterfront setting makes a good starting point to begin your exploration along the cobblestoned streets in the historic Fells Point neighborhood. 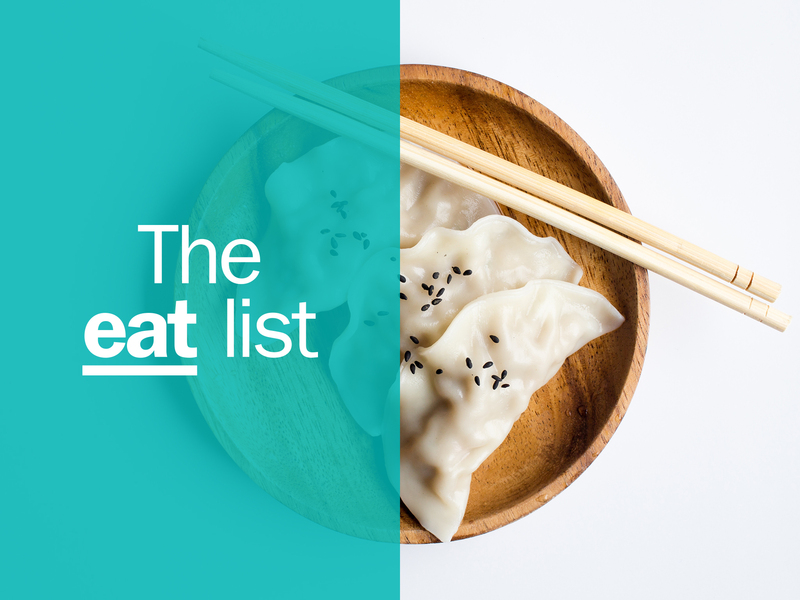 Eat pierogis at Broadway Market, Mediterranean tapas at Mezze and drinks at creative cocktail bar Rye. What is it? 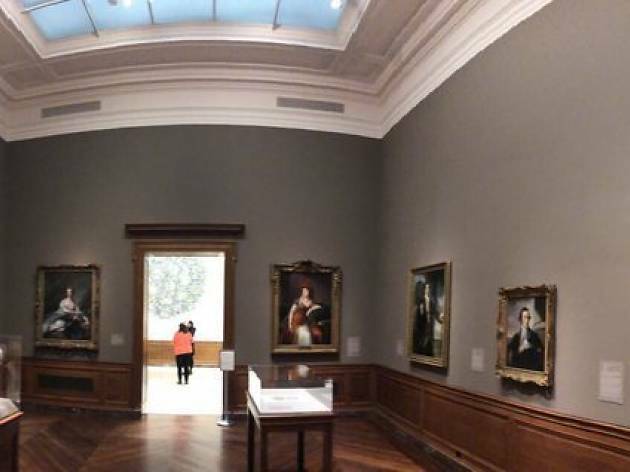 The 104-year-old museum’s collection spans centuries of art, from ancient to the contemporary – so there's something for everyone. Why go? It may surprise you, but the world’s largest Matisse collection isn’t in Paris or Nice. (Can you see where we're going with this?) Yep, it's in Baltimore. The museum boasts more than 1,000 works by the French Fauvist painter and sculptor. With six Doric columns gracing the front, the elegant building designed by John Russell Pope is also a work of art. Stop in the sculpture garden, which sometimes hosts jazz concerts, after brunching in the museum restaurant Gertrude’s. What is it? The 62-year-old sweet spot in Little Italy serves cannoli that rival some of the best in the nation. Why go? 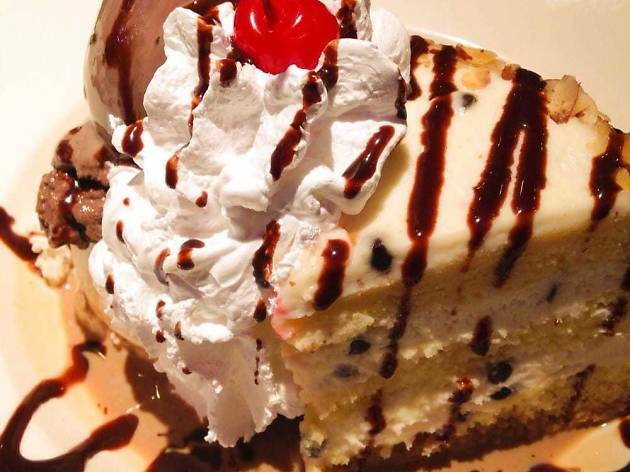 With a long legacy of treating the nation, you can be sure to find a dessert at Vaccaro’s that'll satisfy your sweet tooth. Yep, we're talking indulgent snickers volcanos, death by chocolate, mouthwatering slices of cannoli cake and even cheesecake topped with gelato, hot fudge and whipped topping. Looking for a signature? Well if you only try one thing, put on your roomyest trousers and make a beeline for the pastry shells stuffed with sweetened ricotta and chocolate chips. Charm City’s culinary renaissance has resulted in diverse restaurant scene that embraces flavors from around the globe, from Venezuelan arepas and Basque pinxtos to Asian fusion. Find everything from tony venues helmed by James Beard Award-winning chefs to equally-well-loved small BYOB joints with our guide to the best restaurants in Baltimore.